ELYRIA, OHIO – May 6, 2016 – RIDGID® continues to innovate in the electrical space with the RE 12-M manual hydraulic crimp tool. The RE 12-M is the lightest and easiest to use 12-ton manual hydraulic crimping tool on the market. The RE 12-M is used for wire termination and grounding applications to crimp compression lugs and connectors onto copper, aluminum and ACSR wire and grounding rods. The C-shaped head with 1.65-inch jaw opening is large enough for compression applications up to 1,000 MCM and has a 330-degree head rotation for better access in tight spaces. 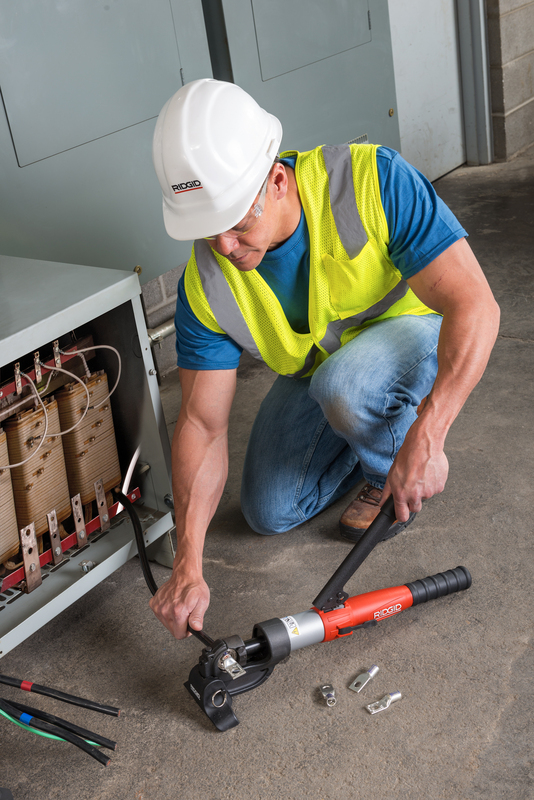 The RIDGID RapidAdvance System™ on the RE 12-M engages with the lug quicker to speed up the crimping process. Only two pumps are required to engage even the smallest lug size, while having the lowest handle force in its class. 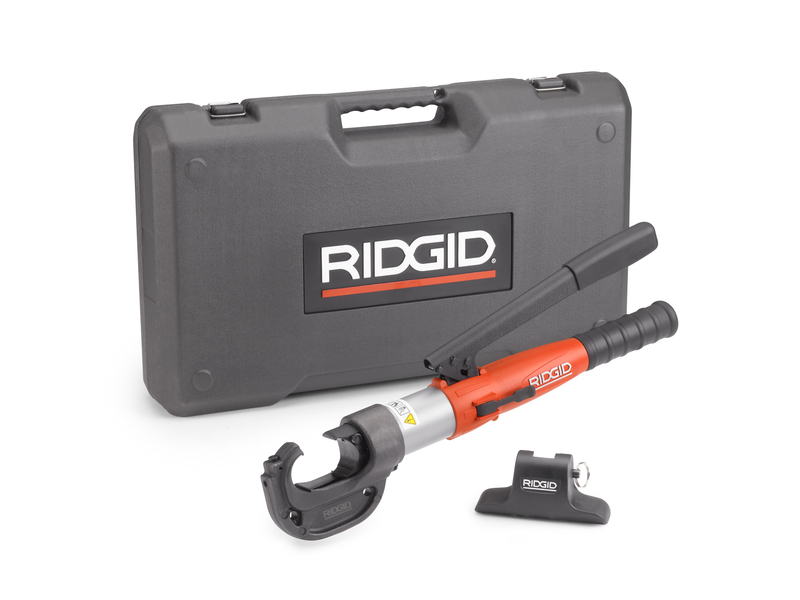 RIDGID is the only manufacturer to offer a removable Head Stand attachment. The Head Stand stabilizes the tool, allowing one person to easily position the cable and lug between the dies while simultaneously pumping the handle of the crimp tool quickly and efficiently on the ground. “The RE 12-M is noticeably lighter and makes jobs easier for the professional with both the Head Stand and the RapidAdvance System™. 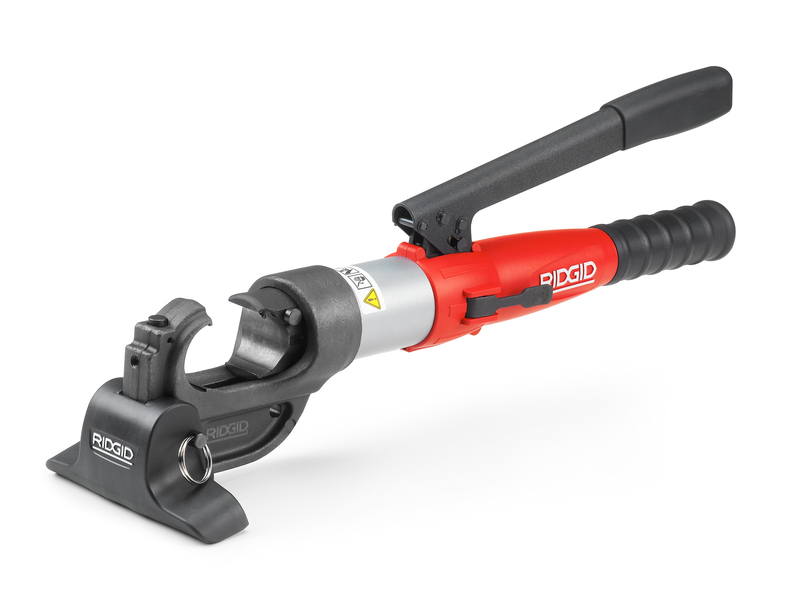 It provides a reliable crimp with less fatigue,” said Rob Trefz, RIDGID Global Marketing Director. The tool comes with a heavy-duty carrying case that holds the tool, Head Stand, and space to hold up to 13 crimp dies. Also included are decals for labeling the die slots inside the case, providing optimal organization and quick access to save time. For additional information about the new RE 12-M or other electrical tools, please visit RIDGID.com, call tollfree: 1-800-769-7743, or contact RIDGID, 400 Clark St., Elyria, Ohio 44035 U.S.A.